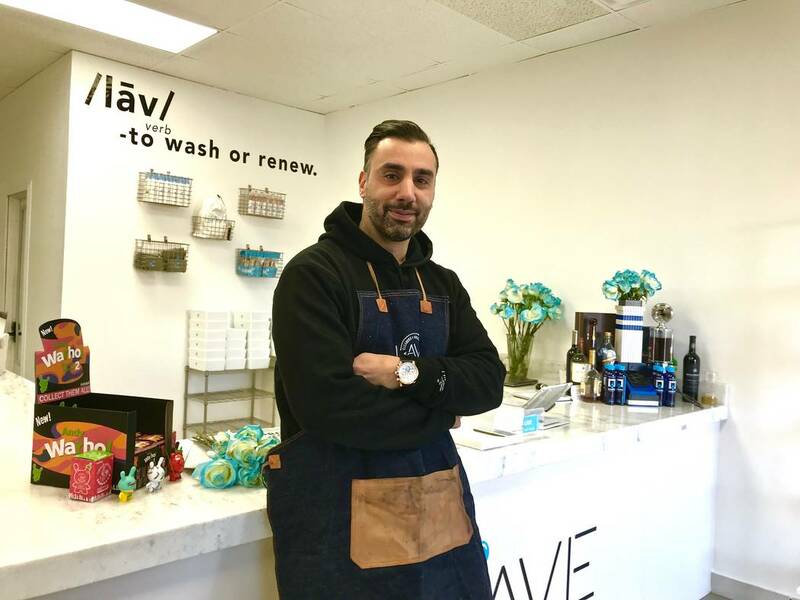 On Nov. 15, Babico opened The Lave Gallery, Las Vegas’s first drop-off cleaning service exclusively for shoes at South Valley View Boulevard and Spring Mountain Road. Growing up in Chicago, Jesse Babico didn’t mow lawns or walk dogs for money. He shined shoes, waxed cars and polished his mother’s silverware. He loved paying attention to detail and making things look new, he said. 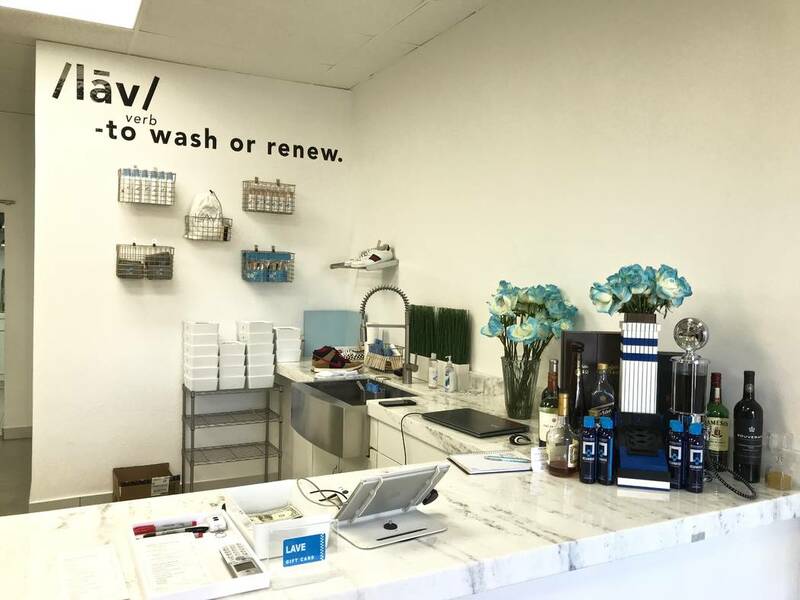 On Nov. 15, Babico opened The Lave Gallery, Las Vegas’s first drop-off cleaning service exclusively for shoes at South Valley View Boulevard and Spring Mountain Road. He partnered with Lowell Raven of 12AM:RUN (an urban-style boutique at the Linq Promenade) and Babico’s cousin, Santino Stephan. 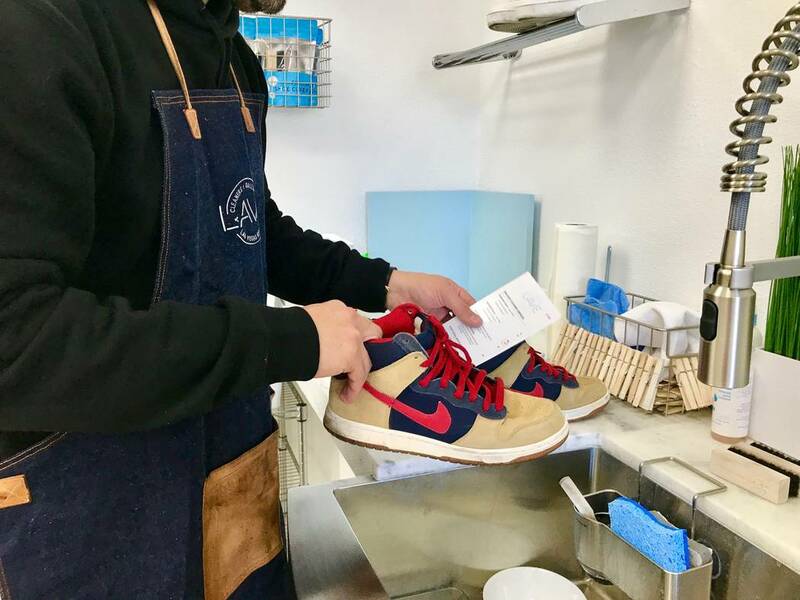 For $12-$16, customers can get a standard wash for their prized sneakers, which covers the sides and body of the shoe. The Leave Fresh package ($44) includes a full wash, undersole cleaning, lace cleaning, insole and lining cleaning and deodorizing. Every pair is washed by hand in the 800-square-foot store. 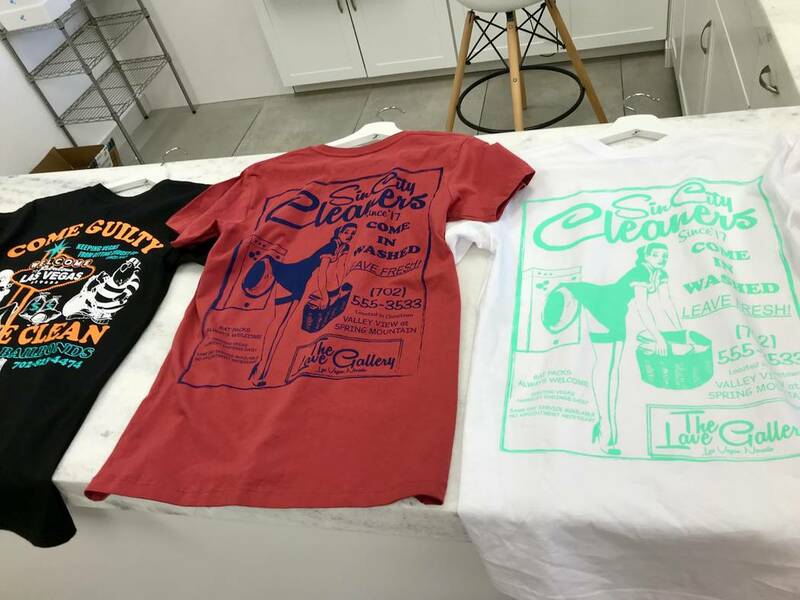 “We’re just like your dry cleaners, three-day standard turnaround time,” Babico said. Customers can pay an additional $5 for two days or $15 for same-day turnaround. The Lave Gallery includes a boutique lifestyle shop. 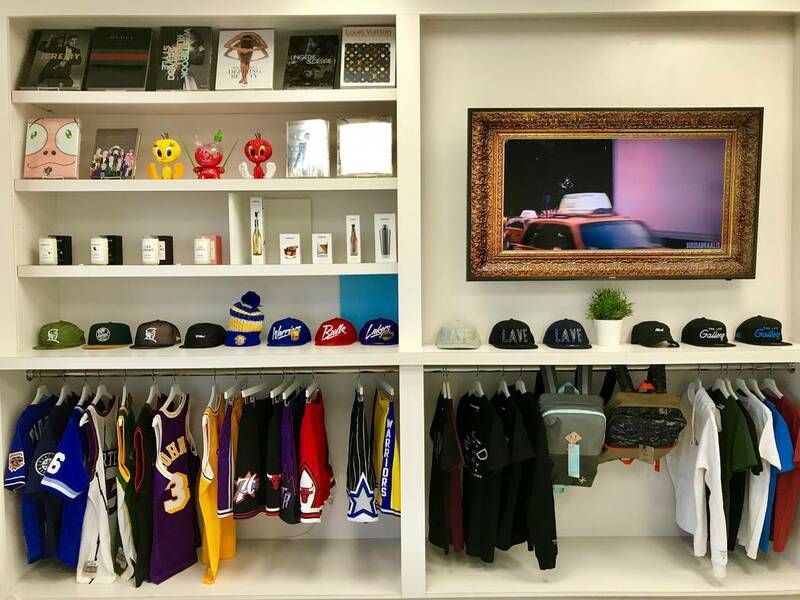 The wall to the left of the register has merchandise from popular street wear brands like Mitchell & Ness, Fitted and 40s & Shorties. Nearby are artsy coffee-table books from Rizzoli New York and limited-edition art figurines from popular street artist KAWS. 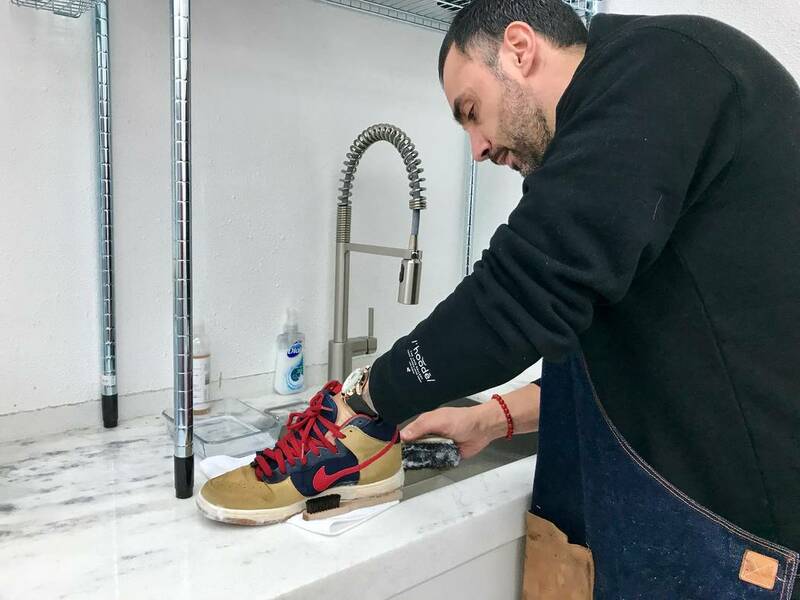 Babico was inspired by Los Angeles entrepreneur Jason Markk, who started selling his brand of sneaker-cleaning solutions and tools in 2007. 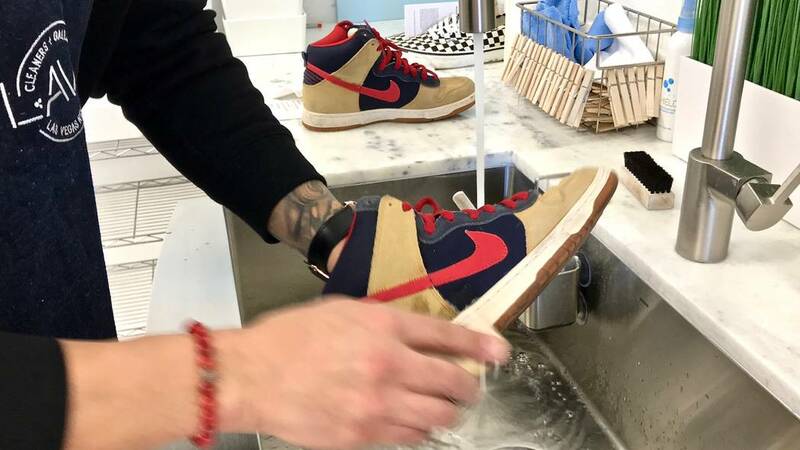 In 2014, Markk opened his first drop-off sneaker-cleaning service in Los Angeles. Babico said he has been using Markk’s products for six years but only found out about his store in March. “When I came across his store I was like, ‘How do I not know you have a store?’ It didn’t make sense,” Babico said. He was inspired by the cleanliness, customer service and even the sleek denim and leather aprons each cleaning technician wore. So Babico brought the idea to Raven and cousin Stephan. They were in. It helps that all three are sneakerheads. Raven owned nearly 500 pairs of shoes at one time, he said, but he’s down to 250. Babico said he owns about 100. Raven already knows which shoes he wants to wear to his wedding: a pair of retro Air Jordan 11s from the “Defining Moments Pack.” They’re gold, black and white and can be bought online for over $1,000. 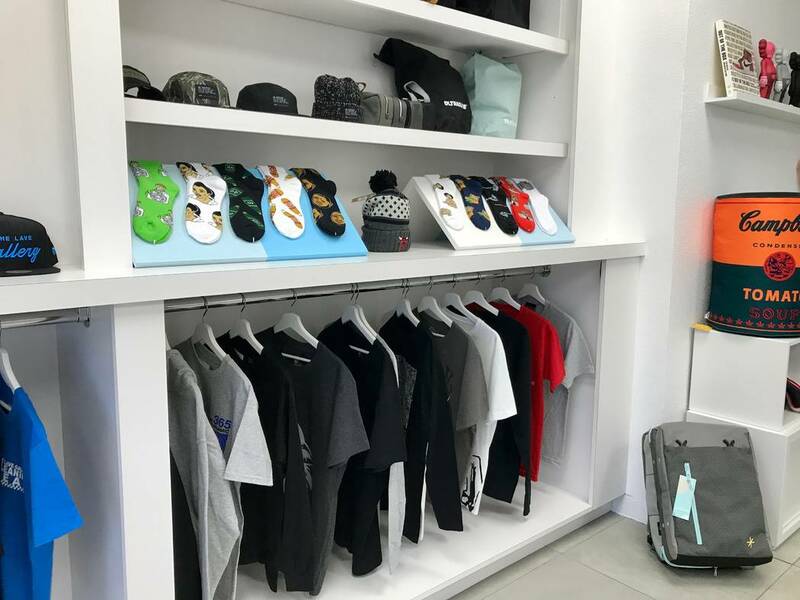 The Lave Gallery is within a block of Feature Sneaker Boutique and KNYEW, both staples in the streetwear industry. “I feel like this area itself, I want to call it its own little fashion district because of its uniqueness and culture,” Babico said. The Lave Gallery’s cleaning solutions are sold at the store and online. 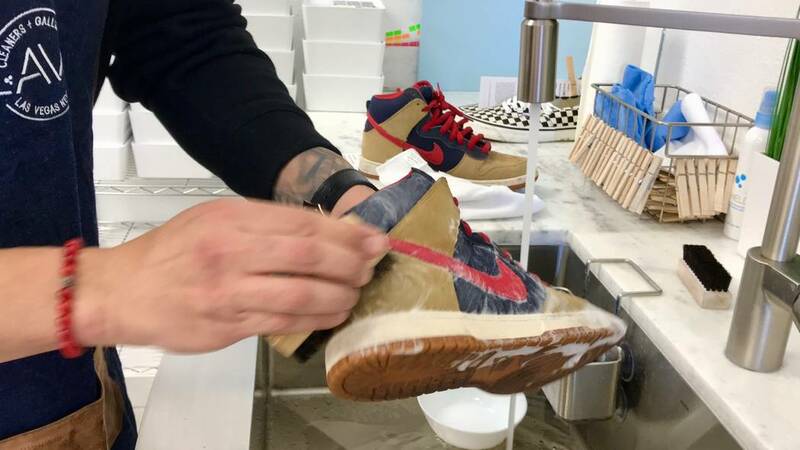 Starting next year, Lave cleaning packages will be sold at Shoe Palace, an athletic wear and shoe store with nearly 150 locations in the western United States and Florida. Babico said his goal is to open stores in five major metropolitan cities, including his hometown of Chicago. Where: 3533 S. Valley View Blvd.